We have a wide range of resin lifelike wide life animals, various green man, oak man plaques and decorative animal stakes for your home and garden. 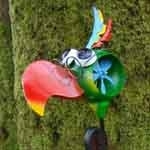 Each one of our animal ornaments are made from high quality resin and are UV and frost proof too. 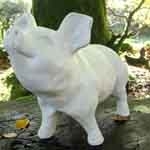 Our plaques are handmade in Devon from Earthenware and very popular. 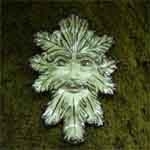 We sell Green man, Oak man and seasonal lady plaques. Can be hung from trees, walls and sheds. The variety of different garden stakes we sell are always changing as they are very popular. Great for gardens and plant pots. Great additional to anyone's garden and home. Wonderful as a gift.